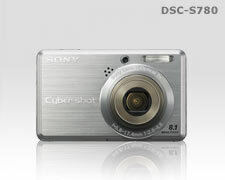 The Cyber-shot® DSC-S780 digital camera features 8.1 MP, 2.5” LCD screen, 3x optical zoom lens and Face Detection technology that recognizes up to three faces and optimizes focus and exposure. 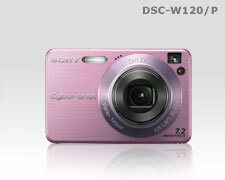 The Cyber-shot® W120 features 7.2 MP and Smile Shutter™ technology which captures a smile the moment it happens. 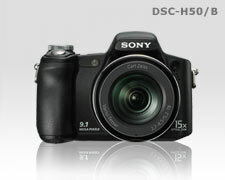 Face Detection, Optical Image Stabilization, 2.5” LCD and 4x optical zoom lens makes this camera ideal for everyday use. 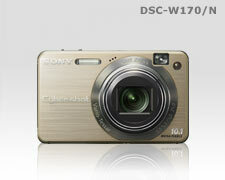 The Cyber-shot® DSC-W170 features 10.1 MP, Carl Zeiss 5x wide optical zoom lens (28mm), and 2.7” LCD display. FD and SS technology, plus OIS makes this camera an excellent choice. 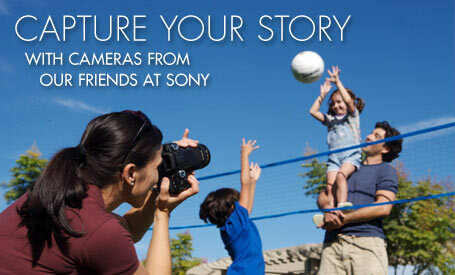 The ultra-slim Sony® Cyber-shot® DSC-T700 combines Optical SteadyShot™ and Smile Shutter™ technology with convenient photo album features and a dazzling 3.5” touch-screen LCD display. 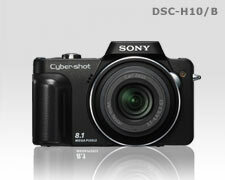 The DSC-H10 is equipped with Advanced Sports mode for split second detail. 8.1 MP and 10x optical zoom Carl Zeiss® lens, Face Detection and Optical Image Stabilization makes this camera great for action-packed photography. THE DSC-H50 comes with 9.1 MP, 15x optical zoom Carl Zeiss® lens and 3.0” tiltable LCD display for optimal shooting. Equipped with Optical Image Stabilization, it’s the ideal camera package. **HD Output requires an optional Sony HD connector cable; HDTV sold separately. ©2009 Sony Electronics Inc. All rights reserved. Reproduction in whole or in part without permission is prohibited. 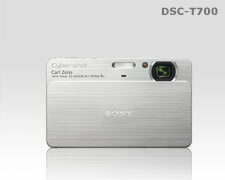 Sony and Cyber-shot are trademarks of Sony.